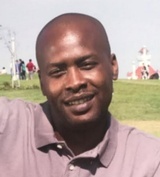 Derrick Lamont Sinclair, a 42-year-old black male, died Friday, Aug. 11, after being shot in West Compton, according to Los Angeles County coroner's records. Do you have information to share about the life of Derrick Lamont Sinclair? The Homicide Report needs your help. E-mail us at homicidereport@latimes.com. My heart is broken. I can't understand why this coward would shoot and kill my husband who never did anything to him or anyone for that matter. He was not affiliated or even familiar with people in this area. He is a real father who tended caringly to our children. We are a professional working family raising a family of 5 children. We have fostered over 17 additional children in our home over the years. He was quiet self kept, respectable family man. I hope you rot in hell you coward gangbanger. You have taken our head of our household away from us looking for someone else you idiot. Now I am consoling and explaining to my 5 and 6 year old why their daddy is not coming home! — The wife Aug. 27, 2017 at 10:06 p.m. I can't even begin to understand this senseless tragedy. I was friends with Derrick since we started working together at LAX in 2000. You would see us together at work all the time. We often sat in his garage and watch football games after work. Derrick was a cool laid back person that didn't bother anyone. There's no way anyone could ever tell me that he deserved what happened to him. The person that took his life obviously did not know him. — Darryl Martin Aug. 13, 2017 at 5:29 a.m.